Quite often a disabled child lacks the legal ability to execute an Enduring Power of Attorney. Most of the time in our experience it is impossible legally for the disabled child to legally execute an Enduring Power of Attorney document. Many parents after a child reaches 18 continue to assist that child in the management of the disabled child’s finances. This informal arrangement we refer to as the “smoke and mirrors” approach. This “smoke and mirrors” approach may work indefinitely, however, without a formal appointment by QCAT (the Queensland Civil & Administrative Tribunal) as administrator the parent lack the legal capacity to make financial decisions for and on behalf of the child. Therefore, quite often, it will be necessary for us to assist a parent/s (or other persons) to make an application to QCAT to be appointed as administrator for the child. This is very similar to being a financial attorney for the child and it enables the administrator to stand in the shoes of the child as if they were the child in dealing with the finances and other property matters of the child. Similarly, it is common that a disabled child cannot execute an Enduring Power of Attorney document to appoint someone to be their personal and health attorneys. It is our observation, that more often or not the disabled child cannot validly and legally execute an Enduring Power of Attorney document. Many personal and health decisions after a child reaches 18 are made by the parents of the child informally. Some assistance is given by the legislation (Powers of Attorney Act), but quite often this may prove inadequate where medical practitioners seek consent for procedures or to formalise certain care arrangements. 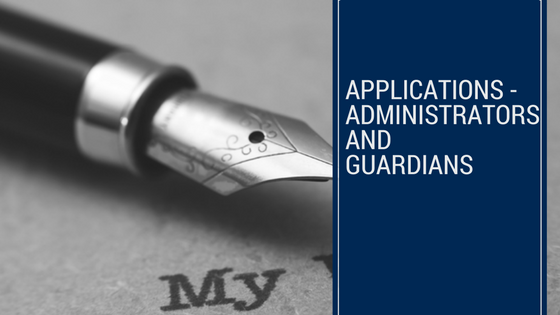 In those instances, advice should be sought as to whether or not it is appropriate for an application to be made to QCAT for one or more persons to be appointed as the guardian of the disabled child. In this instance a guardian is somewhat akin to a personal and health attorney under an Enduring Power of Attorney document and is capable of making personal and health decisions for the disabled child as if they were the disabled child.